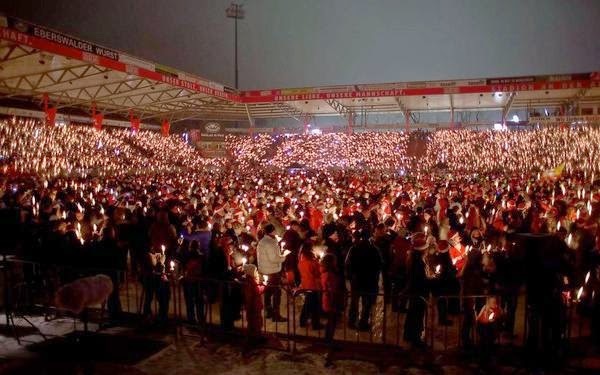 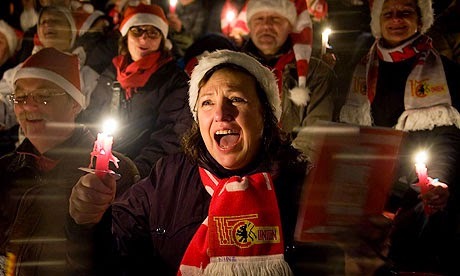 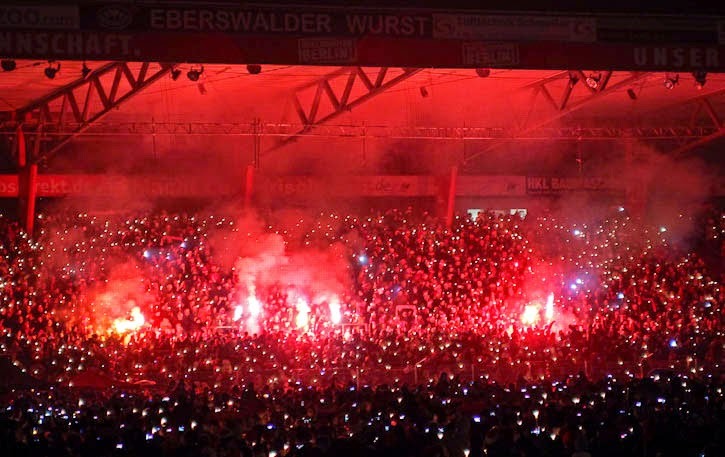 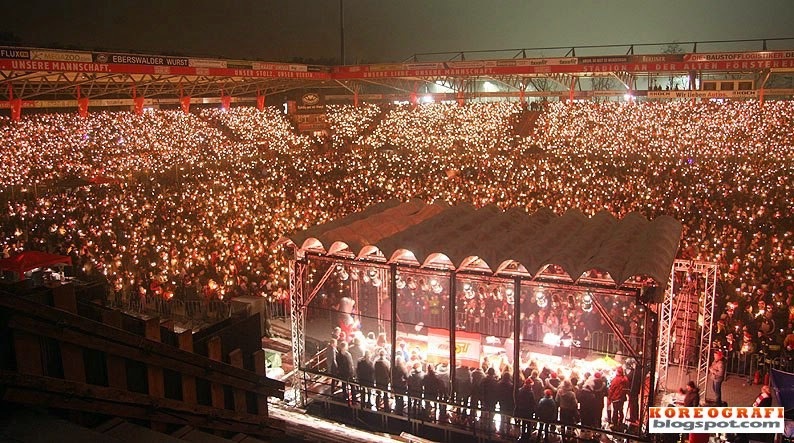 Second division German club FC Union Berlin have a very interesting tradition around Christmas time and while their first ever Stadium Christmas Carol brought in less than 100 fans, this year the club celebrated the festive season with 27,000 fans singing Christmas songs in the stands and the club's pitch. 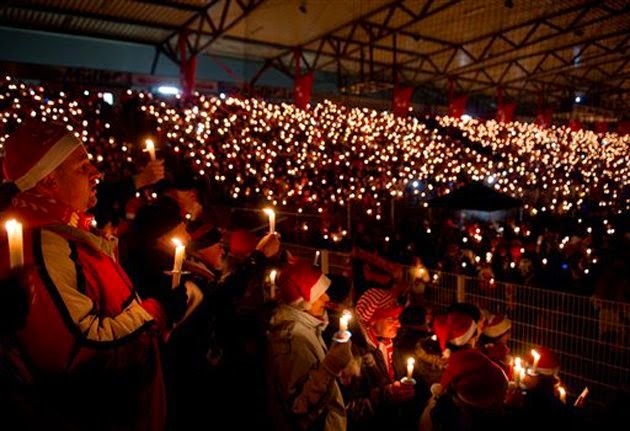 Every person at the Sadion An de Alten Forsterei held a candle or light for a scene that was an absolute delight for photographers and other participants. .
On most occasions the event takes place a couple days before Christmas day, usually on December 23rd. 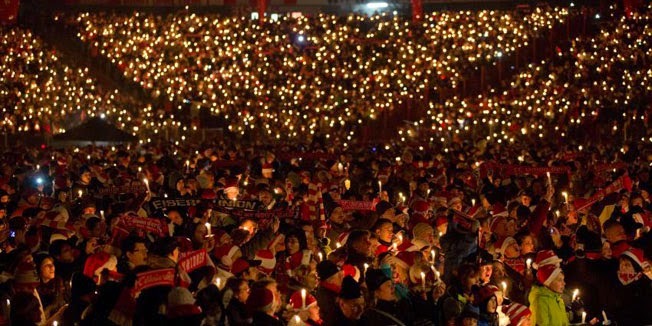 This year marked the 12th year the club has hosted the Christmas Carol event for their fans.